this post was written by Pastor Chilly Chilton, the founding pastor of Courage Church. Chilly is currently preparing to launch Revolution Youth Ministry in Burlington, Vermont. - DO YOU KNOW GOD? I often chat will people who say they know God and yet, after further discussion, it becomes obvious that they don’t know God, they only know about God. There’s a difference. People tend to trust in someone else’s relationship with God and remain content in just knowing enough to feel religious and, occasionally, righteous. This isn’t God’s idea. He wants you to know Him personally for yourself. He knows you completely and still loves you. Amazing! “And Solomon, my son, get to know the God of your ancestors. Worship and serve him with your whole heart and with a willing mind. For the LORD sees every heart and understands and knows every plan and thought. If you seek him, you will find him. But if you forsake him, he will reject you forever.” (1 Chronicles 28:9, TLB). King David was telling Solomon that he should do more than know the history of what God did for the nation of Israel and how He set David over his kingdom. The Bible is far more than a history book – it’s a living book! It invites us to know God. So David’s desire for his son was that he would also get to know the God of Israel himself and develop a personal relationship with the One who meant so much to David throughout his life. If God referred to David as a man after His own heart, then it is safe to assume that David got to know God in an intimate way. Now David yearns for his son to have the same knowledge and closeness to his Creator. And God wants this for you! Notice the second thing that King David pointed out to his son, Solomon. He wanted to stress two requirements for knowing God. He stresses that we serve God with a whole heart (healthy & complete) and a willing mind (alert & quick to obey). There is something about opening our lives---our emotions and mind---in search for God that involves an exercise of our will. When we have a clean heart and apply our will to serve God, the Bible says we will be rewarded with God’s blessing. The last part of David’s challenge can be a bit troubling, but I am sure all of us are aware of the truth of David’s statement to his son: “the LORD sees every heart and understands and knows every plan and thought.” My friends, it is impossible to hide from God. And, why would we want to? He searches the very depths of our lives. He knows our thoughts and intentions. HE KNOWS YOU. We can pretend and raise facades that may make us look good before our family and friends, but let us remember that God sees every heart and understands and knows every thought. Knowing Him personally brings us the greatest reward of all: Life... eternal LIFE! a friend of ours owned a tattoo shop in Southern California, and that was what he called it. “Poiema” - this was actually the first exposure I had to this powerful Greek word. Some of my best friends worked there, and it taught me so much about the gospel. When Dawn and I got married, one of our first stops was to poiema, to get matching tattoos together. For a short period in our lives, we lived near the shop, and it amazed me that every morning, before they started tattooing, they would have a bible study. They would open it up to anyone, and the times that we joined them were amazing. It was honest, it was real, there was depth… and then after they prayed out, they got out the tattoo guns and started tattooing. This type of thing seems to be more common now, but 15 years ago, the idea of a tattoo shop that started every day with a Bible study was not exactly normal. And that is what we loved so much about it. Because an industry that, for whatever misguided reason, the world viewed as something that is “anti-Christian” was actually creating the safest spaces I had seen a long time, for someone to not only BE a Christian, but also BE who they are at the same time. and that is the gospel. That Jesus loves you just as you are… that He meets you, just as you are. That He laid down His life for the you that you are right now, and that He will take everything broken and from bring forth something beautiful… something that He can use to reach others. And he breathes life into things that others may not see any life in. And no matter what anyone has said about you… or spoken over you… Jesus loves you and he wants to use you for his glory. He can redeem the broken things. And He will work through the unorthodox things. The post was written by Drew Borowsky. Drew was responsible for leading the "poiema" project. This post was written by Pastor Chris Hooten. It is common for people to describe Detroit as a blank canvas. Half of it’s buildings are vacant, abandoned, and deteriorating. It is attractive to frame the abundant possibilities as a canvas waiting to be filled. Certainly it is this positive vision Pastor Jacob has in mind when he talks about ministry at Courage Church. We as a church don’t have many established programs demanding loyalty or sacred cows that cannot be touched. We are invited as members to create something beautiful. 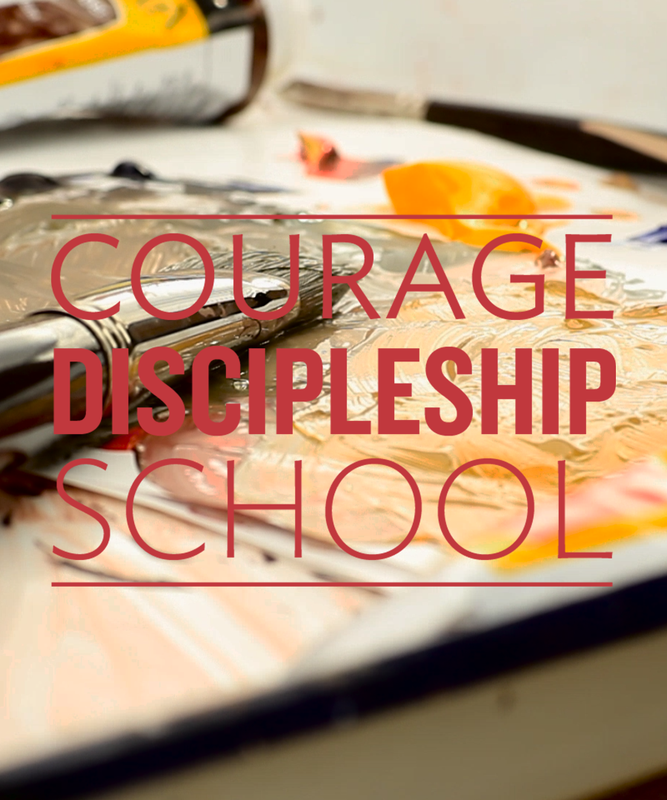 If we have ideas for ministry there is a place for us to paint with all our creativity. There is another side of the blank canvas metaphor that is darker and more problematic. Detroit is already full of color and beauty. To say that Detroit is a blank canvas is to whitewash the character of the residents of the city. It sets up the New Detroit, the young, hip, and white as the saviors of the city. That narrative can be even more tempting when we are talking about Christians earnestly hoping to bring the light of the gospel to Detroit. 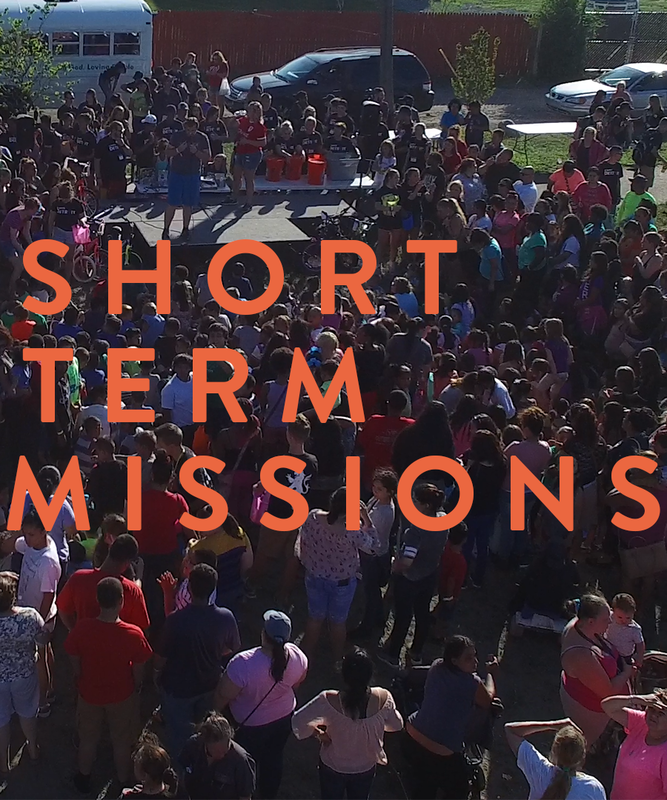 So how do we embrace our opportunity to minister in the Detroit context without being paternalistic, colonial, gentrifying, or minimizing the experiences of our black and brown neighbors? The key comes in the concept of poiēma. What may appear to be a blank canvas is in fact God’s handiwork and God’s artistic expression. As I look around Detroit, I see the imago dei, the image of God in the faces around me. God is already at work in the city before we get there. Scripture is full of references of how God is with the poor and suffering. 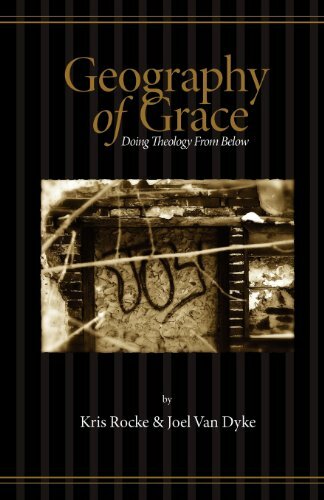 In their book Geography of Grace, Rocke and Van Dyke posit that like water, grace flows downhill and pools in the low and depressed places. If we want to encounter God that is where we should look, and around Detroit there are many such places. Far from being blank spaces, these are places richly painted with the grace of God, inviting us to join in God’s poiēma. We are invited to be collaborators with God in God’s own artistic endeavors. In the neighborhoods, among abandoned buildings and vibrant places where families have struggled and held it down for years, we find the presence of God working grace in beautiful brush strokes. Joining with God and our neighbors to make something beautiful starts at a different perspective than imposing our vision on a blank canvas alone. Collaborative, spontaneous, and beautiful, the interactions work grace in us as much as those around us. This post was written by Emily Morss, our worship pastor. For the longest time I measured my own success in creativity by the success of others; often minimizing my own. I wanted to be leading worship from an instrument, I wanted to be writing original songs, I wanted a music side project (and maybe some extra time to do it in haha) I was so focused on my inability to do all of the above I lost sight of my actual abilities. It wasn't until I was at a conference with hundreds of other musicians and I kept hearing the same thing over and over from different speakers - "stay in your own lane." It all made sense after that. If you look up success it says "achievement of a goal"...so WHY would my success look like anyone else's? My goals aren't the same as anyone else's. So if my goals don't look like yours..then my success isn't going to look like yours - and your success isn't going to look like mine. Comparison not only kills our joy, it also kills our own unique individual creativity. At the end of the day I am successful if I'm faithful with what God has put in front of me. BECAUSE IT DOESN’T LOOK LIKE WHAT HE WAS DOING, THEN. you can’t put old wine into new wineskins. and just this morning, as I thought about this verse… I realized something so simple about it... its not profound at all, but it shook me a little, because I have a lot of great stories... I have had a LOT of fun over the years... and a lot of times I look back wondering how do I create something “like that” again? but Jesus says that if you put new wine into old wine skins, the skins burst, AND the wine spills. which would mean that BOTH ARE WASTED. BOTH ARE RUINED… BOTH ARE USELESS. and when you do that, you aren’t honoring the past, you are letting it distort your hope for a future. IF THE PAST DOESN’T SPRING BOARD YOU INTO WHAT IS NEXT, THEN I DARE SAY THAT THOSE MOMENTS CAN BE COUNTED AS LOST. So here is to a future that is shining its own light, no matter how bright the light of our past used to be.